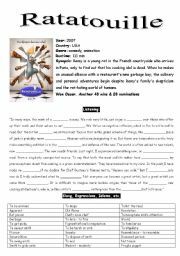 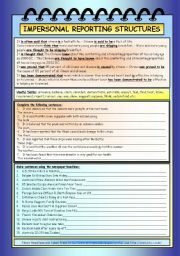 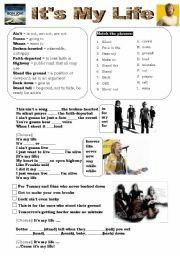 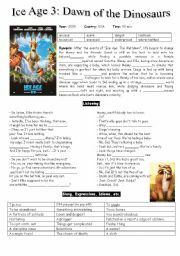 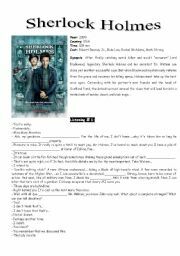 Song worksheet "It´s My Life by Jon Bon Jovi"
Thanks to mena22 for the wonderful template (http://www.eslprintables.com/printable.asp?id=378210#thetop)!!! 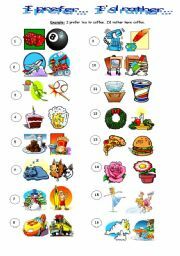 WS to practice structures "I prefer" and "I´d rather". 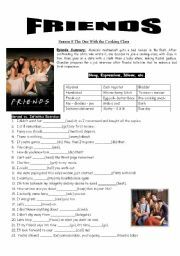 Friends "The One With the Cooking Class"
Movie WS for Gerund and Infinitive practice.